DWJ Print & Marketing Services (“DWJ”) is ready and waiting to assist with stationery, posters, labels, forms, banners, even vehicle wraps. Just name it. A young and creative group, we are eager to make your important, time sensitive project fun and enjoyable. Life really is too short for you to sweat the printing stuff, so let us help. It’s what we’re here for and it’s what we love to do. Graphic Design – How often do you apologize to people in advance about your business card? Or your website? Or any other branded medium that is supposed to represent you and your business? At DWJ Print & Marketing Services, our team of dedicated graphic designers are able to take your idea and turn it into a brand, an offering, or a message that reflects what you do and who you are with concise sophistication. Often when you see the world’s largest brands, you recognize them right away because they prioritize the brand identity they have built. We firmly believe that the design element of your marketing message is the most important process in engaging your customers no matter what marketing channel you are utilizing.  Therefore, at DWJ we have a dedicated staff of graphic designers who are able to work with our clients efficiently and cost-effectively to deliver that message. 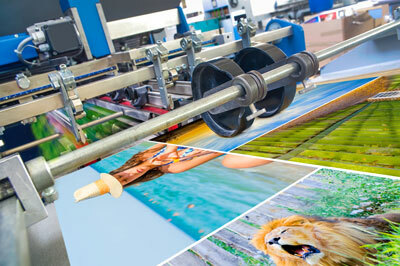 ​Commercial Offset Print – At DWJ Print we utilize a network of trade-only commercial printing facilities around the country. When it comes to print, there are a myriad of different variables that go into every job. 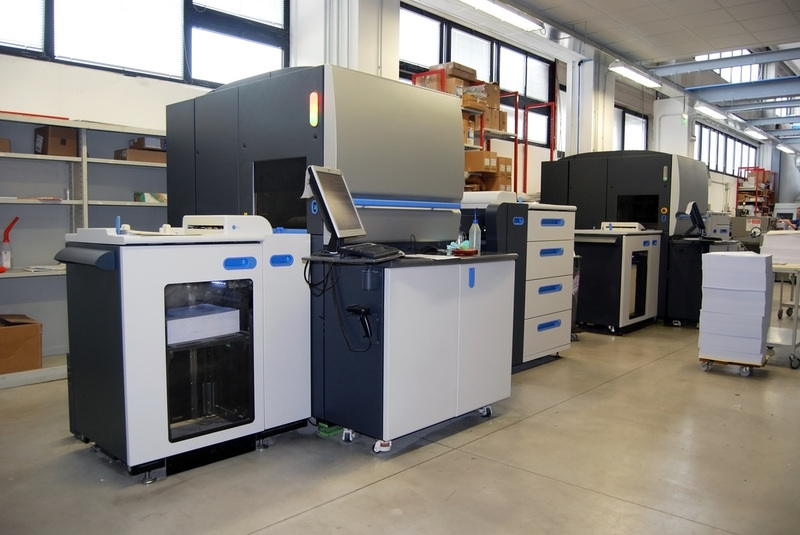 Finish size, turn time, quantity, paper stock, make ready ink plates, color (PMS vs. CMYK), and files all contribute to the quality and content of the final product. We firmly believe that to provide the best offering to our customers, we need to use the best offset machinery available. From a small one color offset press to our large roll to roll web presses, we do it all. We provide our customers with the greatest savings at the highest quality products in the market place. ​Large Format – Whether you need a “step and repeat” banner for a red carpet event or poster for your office lobby, at DWJ Print & Marketing Services we are able to design and manufacture a professional look for you. 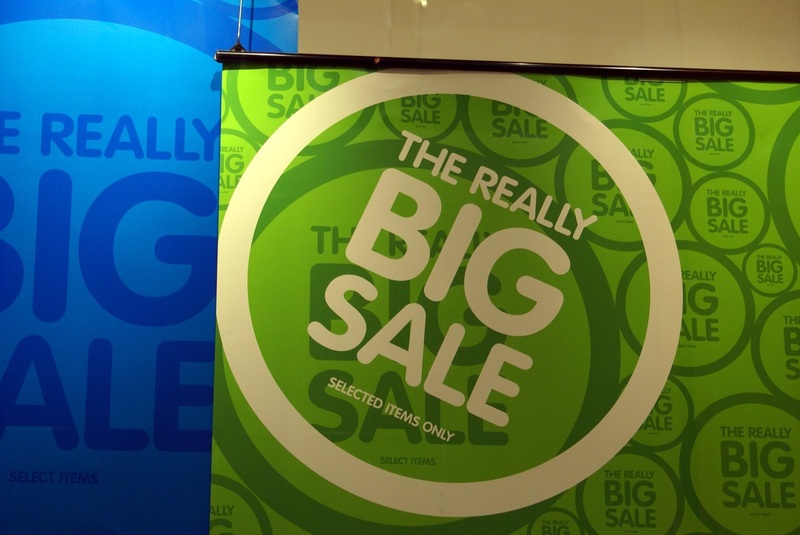 With an ever-increasing volume of large format production design, we create eye-catching window clings, posters, banners, and murals that push our customers' marketing message. Digital Print – Over the past several years in the printing industry, the digital print world continues to gain market share. With extremely quick turn times and small run quantity, the digital press allows us to service clients with these specific needs. Whether you need something right away or several of them, at DWJ we are able to accommodate your request. There is a saying in printing, “everybody gets time but the printer”--and with 77% of our clients returning for additional services, we consistently meet that need for our customers. Use of the digital press allows us to continue to turn jobs quickly and efficiently without ever charging customers a rush fee. ​Signage – The signage division at DWJ Print & Marketing continues to grow steadily. Focusing on improving the customer’s brand, we are able to help create a sign the makes your business pop. At DWJ we offer a comprehensive menu of services custom tailored specifically to ensure the successful implementation of our clients’ signage needs. Our team will work with you to create and design a sign that meets your needs, and we will work with your local municipality to acquire the necessary permits and complete the installation. Because at DWJ we stand behind our work, if you encounter any problems throughout the life of the sign, we will immediately send one of our technicians out to survey, diagnose and solve the problem. ​Direct Mail – At DWJ Print & Marketing Services our direct mail division specializes in handling direct mail for financial institutions. They focus on customer security and partner with the most highly secure mailing facilities in the country. FBI Director Robert Muller said, “There are only two types of companies: those that have been hacked, and those that will be.” Security is our number one priority when handling our customers’ sensitive data. With no room for mistakes, we deliver every single month without a hitch. Our direct mail services include list management, variable data, production, ink jetting and delivery. ​Distribution – At DWJ Print & Marketing we thrive on working with financial institutions, retail chains and organizations that are spread out all over the country. With the ability to go from production through distribution to multiple locations in a seamless manner, we allow our clients to focus on the message they seek to market and grow sales. With tight deadlines and limited time constraints customers have come to rely on DWJ to ensure their materials arrive at their destination on time.